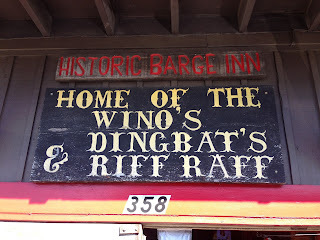 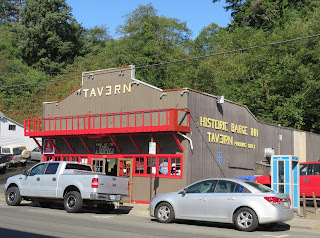 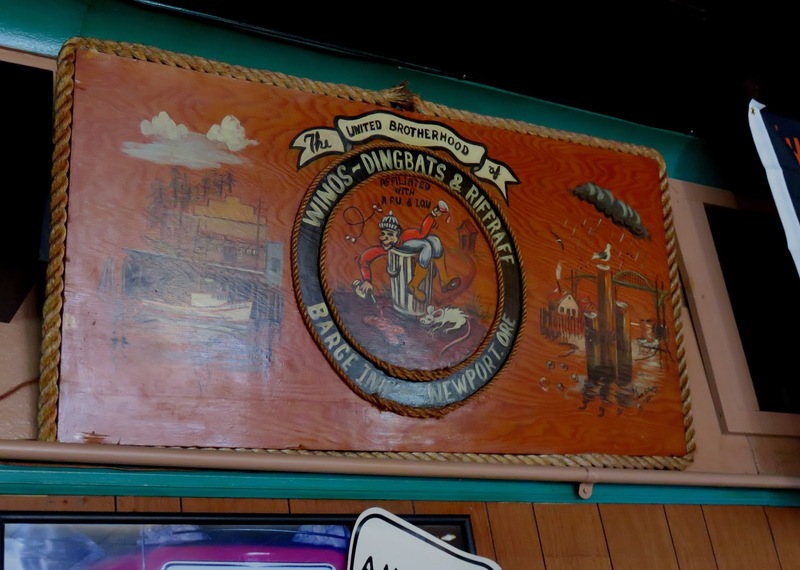 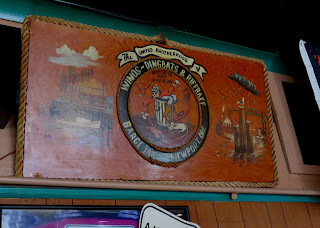 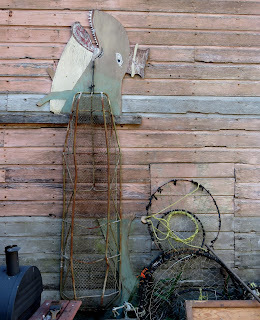 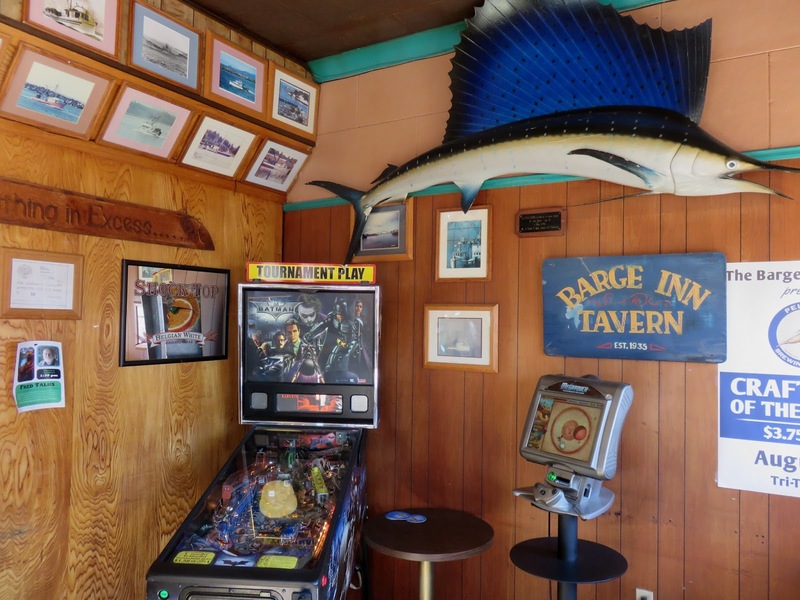 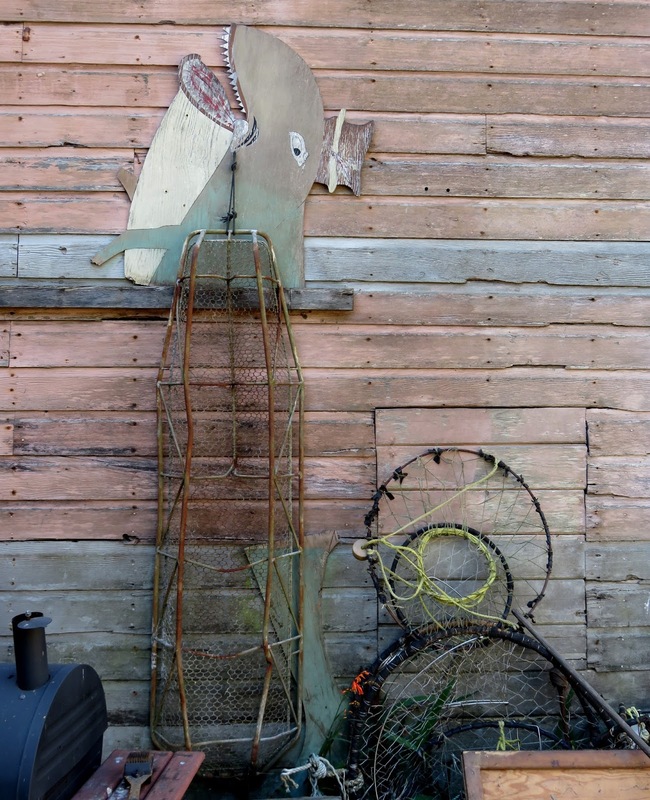 I've found no details about the "since 1935" history of the historic Barge Inn, but its current incarnation is largely attributable to longtime owner Pat Witham -- and Witham's sense of humor. 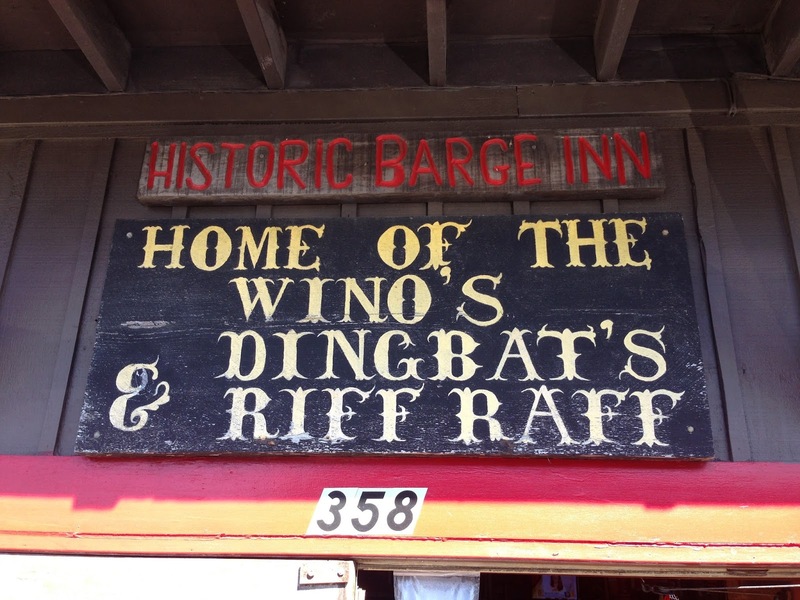 It's plain as you approach the place and see the sign above the door announcing that it is "Home of the Wino's, Dingbat's & Riff Raff" (why Wino and Dingbat have apostrophes is not abundantly clear). 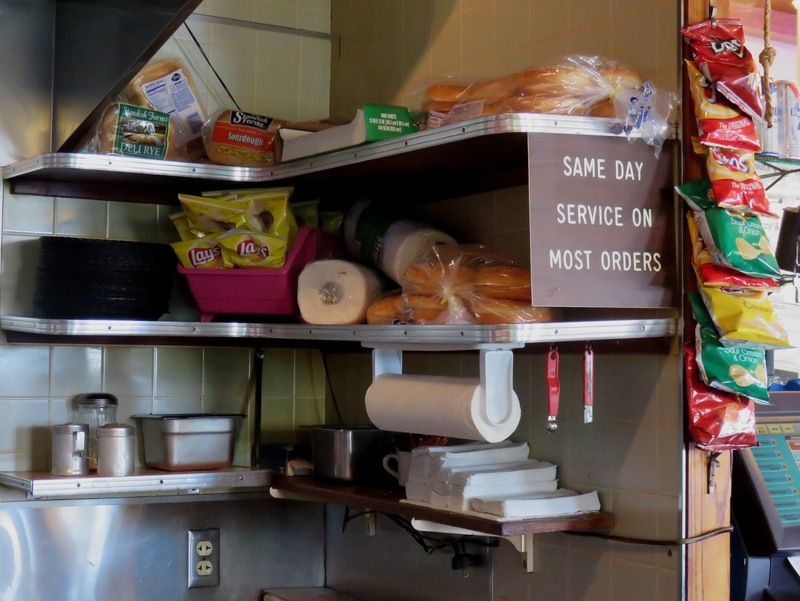 It continues inside, for example when you notice the sign in the kitchen that brags "Same Day Service on Most Orders." 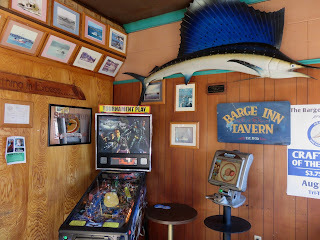 Witham has owned the place since the late 90s, explaining to the Oregon Coast Bank that he was looking for a new business that would “pay me even less than I was making as a trucker.” (The bank says they enjoy having Witham as a customer "despite the fact that he tends to dispose of any Beaver memorabilia he finds on our desks." The bar opens at 7 and serves classic dive bar cocktails along with a small menu of old school bar food -- hamburgers, hot dogs and breakfast items.